Grilled Italian Sausage Stuffed Peppers – it’s easy, it’s summer-y, it’s delicious. 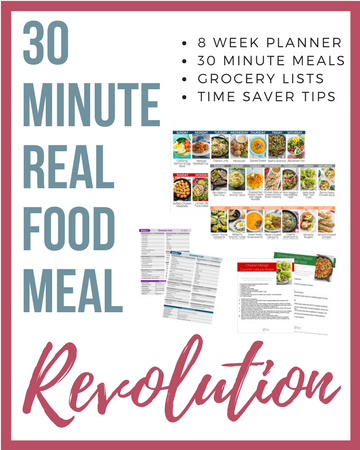 And this paleo + Whole30 recipe will certainly be a favorite for years to come. 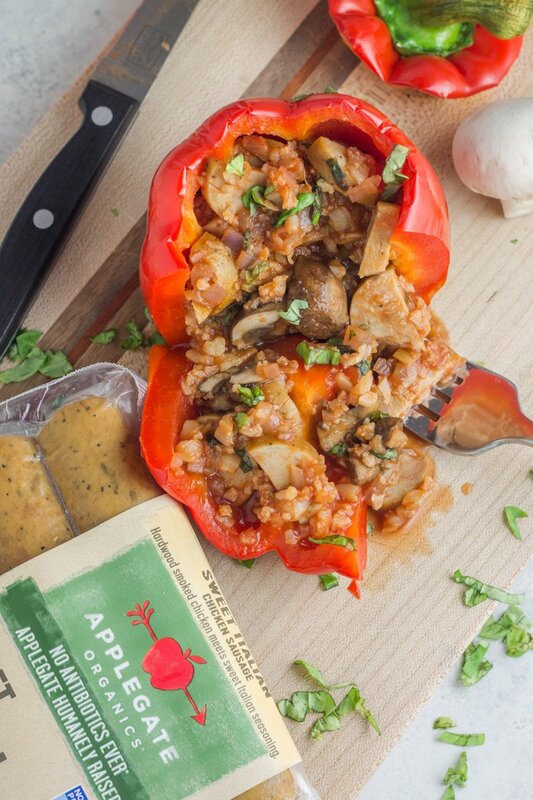 Each pepper is stuffed with Applegate Organics® Sweet Italian Sausage, mushrooms, cauliflower rice, and the perfect homemade marinara. 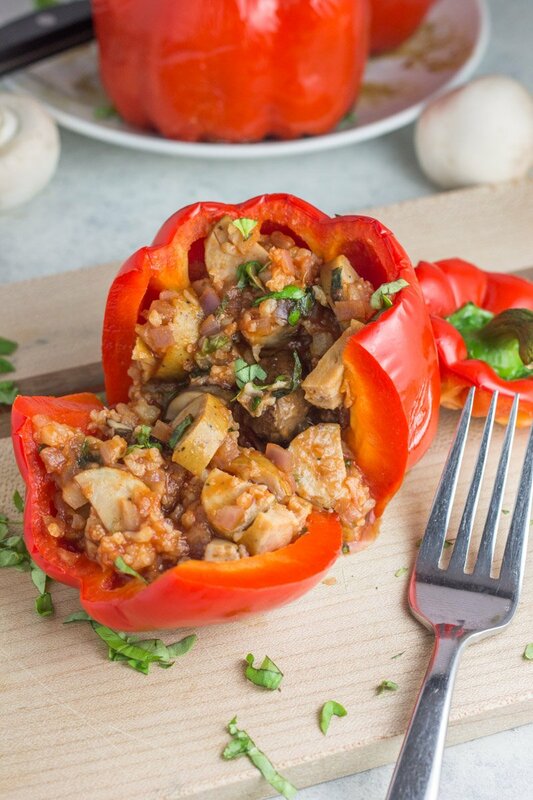 It’s a filling meal packed with veggies, protein, and amazing flavor! Stuffed peppers were a staple growing up. My mom would throw a bunch of stuff in each big ‘ol green bell pepper and throw them in the oven. I remember the smell walking in after dance practice and basically falling face first into that heavenly pepper of post-pirouette hunger. Her version was always simple – ground beef, rice and marinara from a jar. Oh, and a ton of cheese on top. To be honest, I wasn’t sure I wanted to mess with mom’s simple recipe, even if it had been years since I had a stuffed pepper the same way she made them. But the day I started experimenting with stuffed peppers on the grill, with even BETTER ingredients than she conjured up, was the day my life changed. Sorry mom, I love you. But my grilled Italian sausage stuffed peppers are better. Plus they’re paleo and Whole30 compliant. 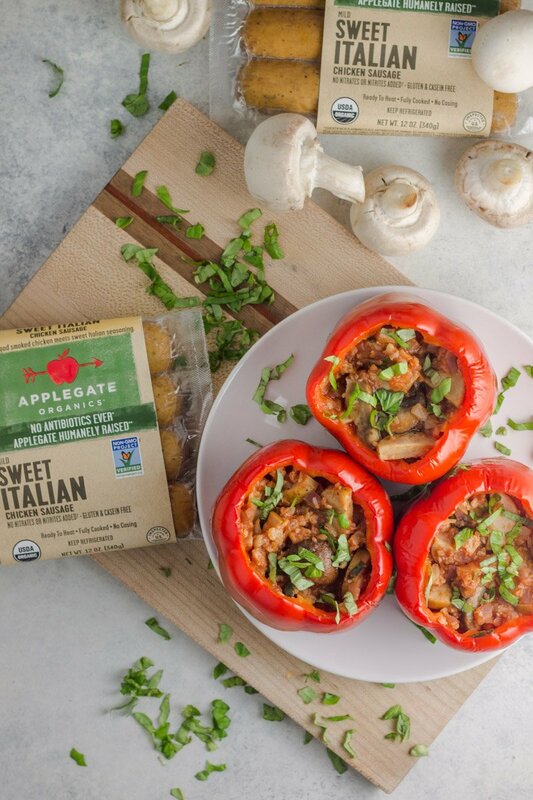 That being said, I’m pretty convinced that using Applegate Organics® Sweet Italian Sausage is the absolute clutch ingredient needed to jam amazing flavor in these sweet roasted red peppers. 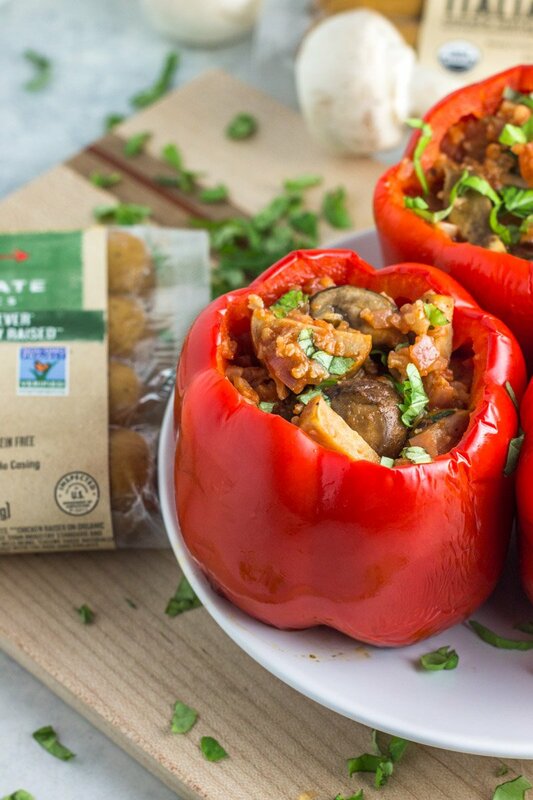 The mild Italian flavor packed in each chicken sausage is perfection when combined with a simple homemade marinara, fresh basil, sautéed mushrooms, and cauliflower rice. This is an easy summer recipe that my kids gobbled right up, and I love to make it in 30 minutes or less. 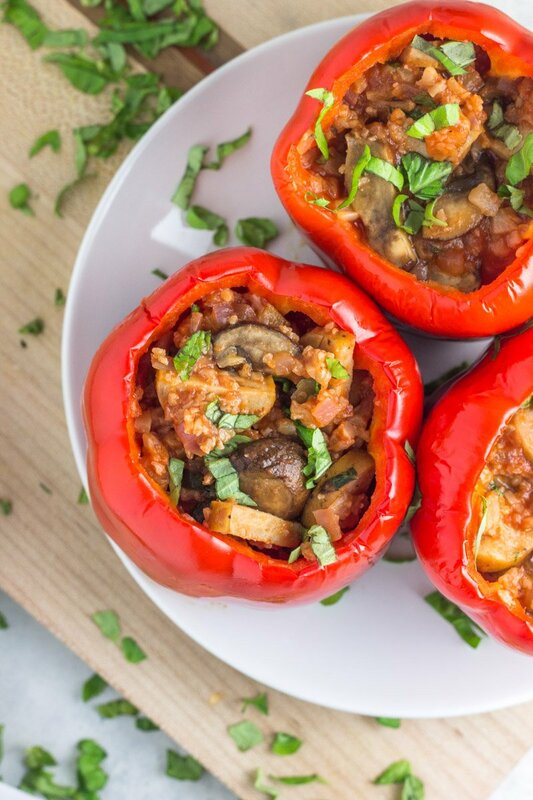 Plus, it’s easy to customize these grilled stuffed red peppers with whatever ingredients you like! 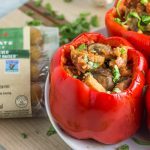 Applegate offers an amazing line of natural and organic dinner sausages perfect for any dish, but they’re especially delicious in these grilled Italian sausage stuffed peppers. Did you know they’ve paired with the Whole30 program to make compliant chicken sausages that I devour for breakfast, lunch, and dinner?! It’s a busy mom’s dream come true. My mom might slay it in the gardening department, and she’ll kill it with Christmas decorations, but there’s no way she beats me when it comes to stuffed peppers. Nope. Not gonna happen. All you need to do is follow a few short steps to sauté and combine all the beautiful ingredients in these grilled Italian sausage stuffed peppers, then stuff each pepper full to the top and throw ‘em on the grill. No fuss. Little mess. Easy dinner win. Be sure to check out another amazing Whole30 compliant recipe using Applegate Naturals® No Sugar Bacon – this instant pot turkey bacon ranch meatloaf. Another perfect summer recipe without having to turn on the stove! A simple paleo + Whole30 dinner perfect for grilling season. These grilled Italian sausage stuffed peppers are made with simple ingredients and have major flavor! Dinner in under 30 minutes. Be sure to choose red bell peppers that have a flat base. These will need to sit without falling to ensure the contents inside don’t spill out. I have a few questions. For the tomato pasta and sauce where can I find a good whole 30 compliant sauce? Also do you have any suggestions for good quality cauliflower rice, for some reason, I don’t love the taste of this. 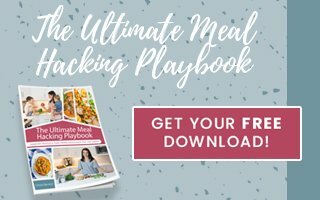 Is there something else I could substitute for the cauliflower rice?